Lilliwaup is a small community situated on the west shore of the Hood Canal at the mouth of Lilliwaup Creek in Mason County. It attracts many residents and part-time residents that love shellfish, with some of the best harvesting. Those who are lucky enough to own Lilliwaup waterfront real estate may even enjoy immediate access to year-round clamming and oyster harvesting, and opportunities abound in Lilliwaup State Park is well. 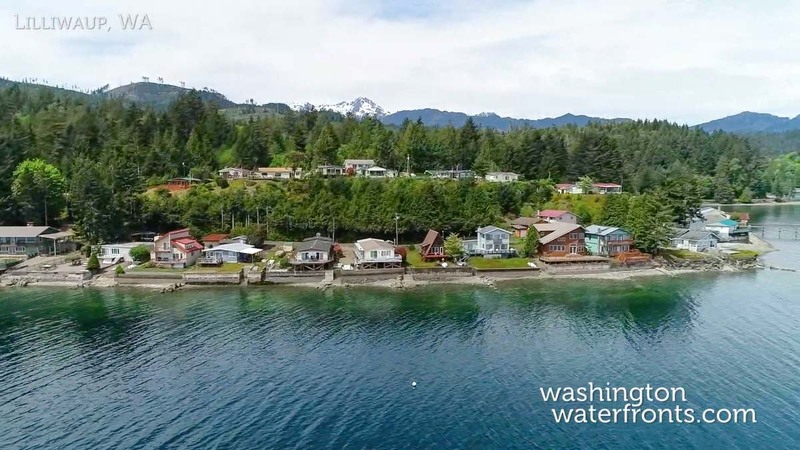 This little town is truly a beachcomber’s dream – and for those who want to enjoy fishing, the local fish hatchery keeps the local waters stocked with salmon, making it easy to catch your own dinner and feast on all sorts of seafood. With miles of scenic trails just out your door when you own Lilliwaup waterfront real estate, you can always work up an appetite for indulging in that bountiful feast by clambering up the rugged trails, strolling through the tranquil old growth forest, or going beyond through the lush meadows of the Olympic National Forest. Just a few of the popular pursuits and fun events in this area also include bird watching, golf, kayaking, sailing, diving, and stand-up paddle-boarding, along with outstanding golf, nearby museums and live concerts. Lilliwaup waterfront real estate owners won’t be far from the necessities either as Lilliwaup also has a great general store that’s well-stocked for a small retailer of the size, though more major shopping eateries and other services a short, 30-minute drive away in Shelton. Hoodsport and the Hoodsport Winery is just a little over 5 minutes away. Lilliwaup waterfront real estate is truly hard to beat for charming waterside living in the Northwest, offering everything access to densely forested mountains with the glorious waters of the canal just steps away. Take advantage of our industry-leading tools to make your property search as easy as possible and be sure to register for a FREE account so that you can receive email alerts whenever new Lilliwaup waterfront real estate for sale hits the market. If you're seeking to sell your Lilliwaup waterfront property, contact our Waterfront Specialists directly for a comprehensive listing analysis and to learn more about the cutting-edge marketing strategies we'll use to sell your home quickly for top dollar!